Rep. Rob Andrews’ campaign fund has paid more than $100,000 to a Washington, D.C., law firm known for defending political figures. Andrews, D-Haddon Heights, has declined to say why he’s paying legal fees to Brand Law Group, which is led by a former general counsel for the House of Representatives. The congressman has come under fire from critics who contend his campaign spending sometimes overlaps personal interests. Andrews’ campaign fund paid almost $67,000 to the high-powered law firm on June 29, according to a report filed with the Federal Election Commission on Sunday. Earlier reports showed payments to Brand of more than $41,000 in March and about $2,200 in December, bringing the total to about $110,000. 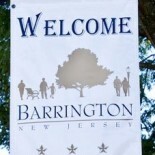 This entry was posted on July 17, 2012 by Barrington Bulletin in Region and tagged andrews, congress, rob andrews.